Looking for some luxury Wildlife Resorts in India? Here we are with the information about various 5 Star wildlife resorts & forest lodges located in and around wildlife sanctuaries and national parks of India for comfortable and memorable stay and to discover the wildlife of India at its best. India has a wide range of flora and fauna and to explore this large variety of species wildlife sanctuaries and national parks are the best to visit. Thanks to the numerous wildlife sanctuaries and national parks in India that are furnished with a wide range of flora and fauna including some endangered species too which make this gaming possible. What's makes these wildlife tours more exciting and comfortable is the accommodation in and around these parks. These Wildlife Resorts & Forest Lodges in India make your wildlife trip more comfortable and enjoyable by making the necessary arrangements. Most of the resorts are well-maintained and well equipped with all modern amenities and all comforts required for a convenient and cozy stay after a long Safari. All these accommodations are surrounded by natural beauty which makes them more relaxing and rejuvenating and makes a wonderful base discover the wildlife of India. Ranthambore National Park is one of the most beautiful and largest national parks in India, and famous wildlife resorts in India. It is an ideal destination to spot wildlife in their natural habitat. Located at the junction of the Aravalli and Vindhya hill range in Rajasthan is the home of many wild animals like Tigers, Leopards, Sambar deer, Macaques, Jackals, Black bucks, Chinkara, Coomon Yellow Bats, Flying Foxes, Porcupines, and birds. There are many accommodations available to stay in and around the park but if you want to live in luxury and style than here we are with 6 Luxury resorts in Ranthambore National Park to make your stay more comfortable and enjoyable. It is the only heritage hotel and one of the best wild life luxury resorts in Ranthambore just 3 kms away from the railway station. 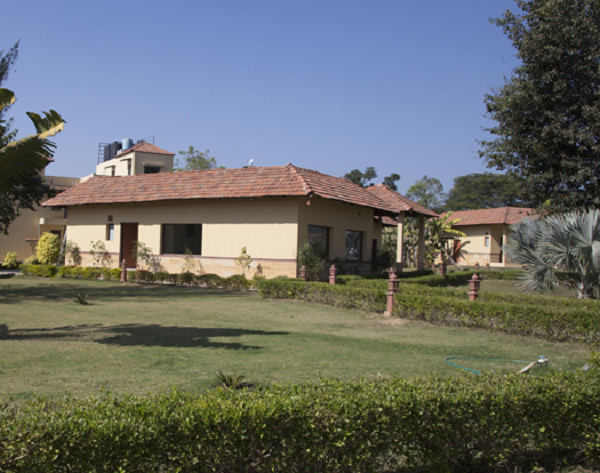 Spread over the area of 12 acres Sawai Madhopur Lodge has 20 suites and 16 rooms equipped with all modern facilities and amenities to make the stay more comfortable. ‎Price range: ₹ 6,000 - ₹ 25,500 per night. It is one of best luxury jungle resorts in India located very close to the Ranthambore Tiger Reserve in Rajasthan. Spread across twenty acres of lush green gardens, Oberoi Vanyavilas has a setup of very luxurious air-conditioned tents full with all modern facilities and amenities such as LCD Television, DVD player, Satellite television, Wired & wireless broadband internet access, Electronic safe, Direct dial telephone, Personal bar. Price range: ₹ 59,335 - ₹ 82,166 per night. Aman-i-Khas is a famous wildlife resorts in India. 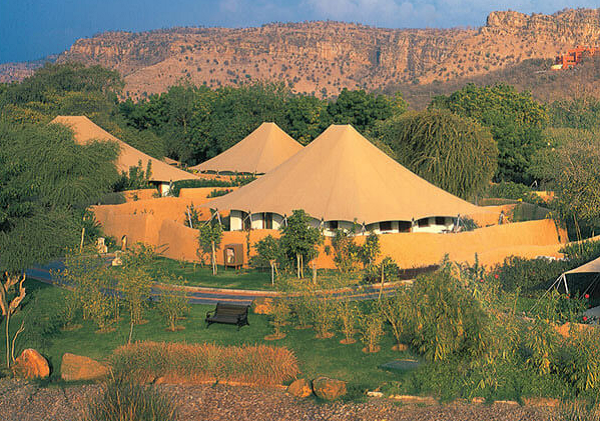 It is a tented camp resort near Ranthambore National Park for those who really like to be live like a king and queen. 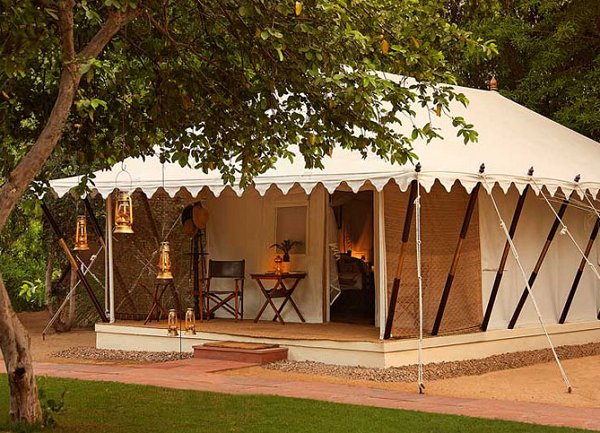 The luxurious camps of the Aman-I-Khas are surrounded by lush green Aravalli hills. They offer world class services to their guest from room amenities to daily jungle safaris in Ranthambore National Park. Price range: ₹ 90,000 - ₹ 1, 00,000 per night. Sher Bagh is a famous luxury wildlife resorts in India. A luxury tented resort with 12 luxurious tents is an ideal location for those who want live in a style. All the camps here are furnished in Edwardian campaign style furniture. One can enjoy the cuisine from across the world and traditional Indian delicacies cooked over clay ovens at Sher Bagh. Price range: ₹ 45,329 - ₹ 48,221 per night. It is one of the most luxurious hotels located at the foot hills of Aravali hills near the Ranthambore National Park. Nahargarh has 68 ultra-luxurious rooms offers best hospitality from accommodation to other in house facilities. It is also an ideal location for hosting theme weddings and conferences. Price range: ₹ 12,000 - ₹ 17,000 per night. Jim Corbett National Park is a Project Tiger Reserve lies in the Nainital district of Uttarakhand is a perfect destination for wildlife lovers. Spread over an extent of 520 square kilometers, it is among the few tiger reserves in India that allow overnight stays inside the National Park. There are many hotels and resorts in and around the Jim Corbett National Park from budget accommodation to luxury one. It is one of the best weekend getaways from Delhi and well connected with many major cities. Here we are with 6 Luxury resorts in Jim Corbett National Park to make your stay perfect with all luxuries. It is a 5 star luxury wildlife Resorts in Jim Corbett National Park, Ramnagar offer luxurious rooms for a comfortable accommodation in Corbett. 10 residential blocks of the resort houses 48 beautifully designed rooms. All the rooms at Aahana offer luxury and relaxing stay to give their guests a home-away-from-home experience. ‎Price range: ₹ 11,000 - ₹ 40,000 per night. Situated on the banks of Kosi River, Namah resort is one of the best wild life luxury resorts in Jim Corbett National Park, Ramnagar. 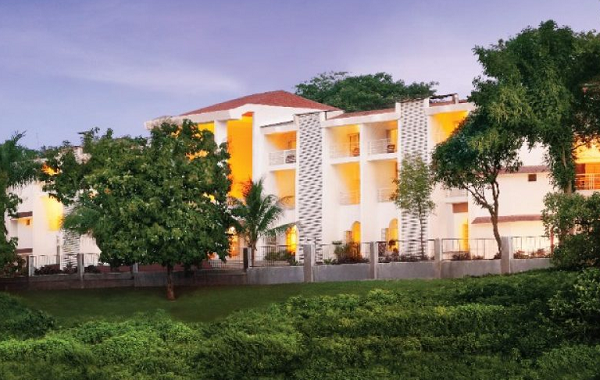 Spread over the area of across 8.75 acres of lush greenery Namah resort has nearly 50 rooms with all modern facilities such as comprise desks, high-speed wireless Internet connectivity, safety lockers, a 32 inch LCD screen as well as tea and coffee maker. Guests can enjoy the relaxing ambiance of the resort by sitting in their own private balcony, sipping their favorite drink or reading the book. Price range: ₹ 8,000 - ₹ 22,500 per night. 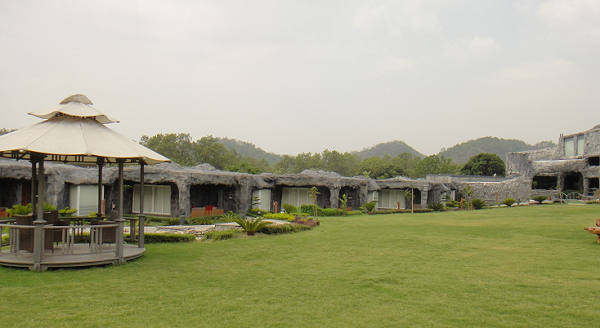 It is the theme based luxury resort in Jim Corbett National Park, Ramnagar. 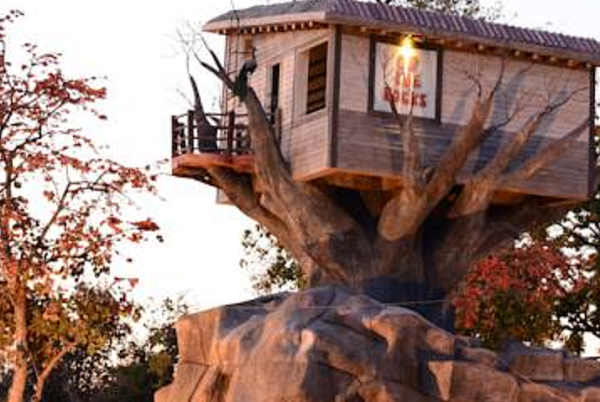 Resort offer 37 luxury caves and one tree house equipped with all modern facilities. A discotheque, 5 D movie theaters, well stocked library and a multi cuisine restaurant all are sufficient to keep their guests busy beside Jungle Safari. It is an ultimate luxury resort to rejuvenate you from the hectic city life. Price range: ₹ 12,000 - ₹ 25,000 per night. 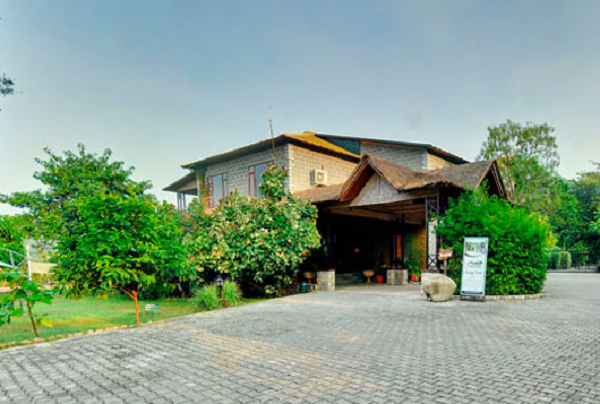 It is the super jungle Luxury resort in Jim Corbett National park, near Corbett Entry Gate equipped with all the modern amenities to give their guests a unique wildlife experience. It is a big resort spread over 8 acres with lots of greenery, nice and big swimming pool and lot of other things for entertainment. The resort lies within the deep forest on one side and Kosi River flowing behind it add an extra beauty to this amazing resort. Price range: ₹ 6,000 - ₹ 19,000 per night. 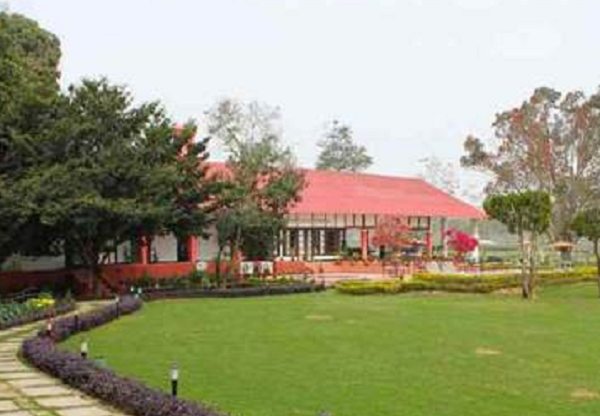 It is a 5 star luxury resort in Jim Corbett to spend some time in luxury with your loved ones. Resort offer luxury and premium luxury cottage equipped will all modern facilities and amenities to make their guest comfortable and to give them a pleasant experience throughout the stay. Price range: ₹ 18,000 - ₹ 22,000 per night. 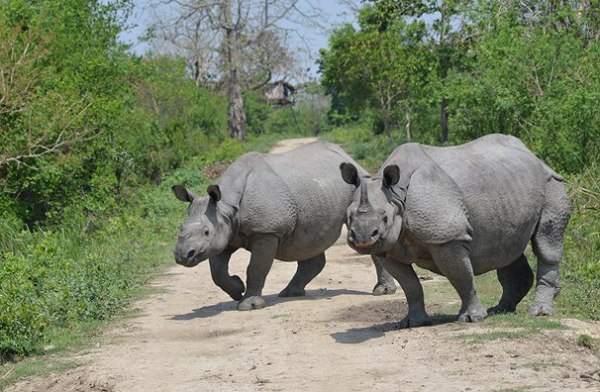 Kaziranga National Park is a world heritage site consists of two-thirds of the One-horned rhinoceros. 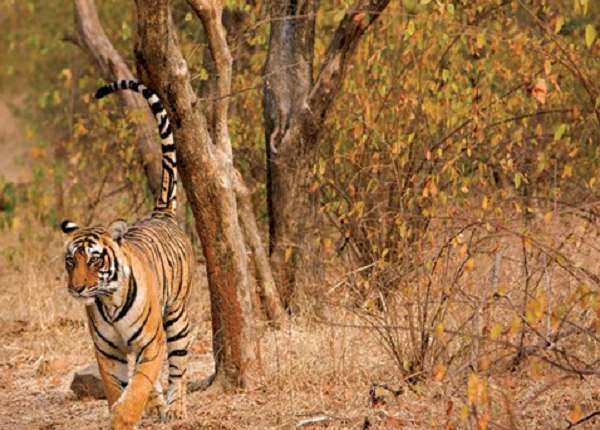 It has the highest density of tiger and declared as a Tiger Reserve in 2006. It remains open daily from 1st November to 30th April, six months a year. Though is not very much popular for a sighting of tigers but their presence can be felt in the park. The park is a home of large elephants, wild water buffalo, and swamp deer. There are many wildlife resorts and hotels in and around Kaziranga National Park, Assam. Here we are with top 6 luxury resorts in Kaziranga National Park, Assam to stay near the park and enjoy the wildlife at its best. It is super deluxe resort located in the idle of lush green Bamboo groves. Infinity offers excellent service to their guest's right from the arrival till the final farewell. Resort is consisting of 16 luxurious guest rooms decorated with traditional handmade walls and bamboo furniture. Guests can enjoy many in-house facilities like Bonfire during winter months, indoor games, swimming pool games, multi cuisine restaurant, and many other recreational activities along with the wildlife safaris. Price range: ₹ 7,000 - ₹ 8,000 per night. It is a picturesque resort situated on the banks of the Diphlu River offer unmatched comfort and service to their guests and visitors. The Diphlu River Lodge as the accommodation for 24 guests at a time. There are 8 individual cottages and 4 semi-detached cottages made of natural materials topped with thatched roofs to blend in with the forest surroundings. 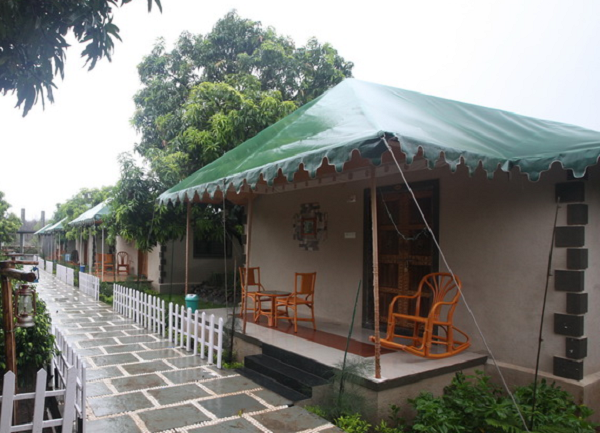 All cottages are equipped with modern facilities to make the guests comfortable and enjoy the serene beauty. Price range: ₹ 10,000 - ₹ 20,000 per night. It is one of the best resorts in Kaziranga to cater all the requirements of tourists who visit Kaziranga. 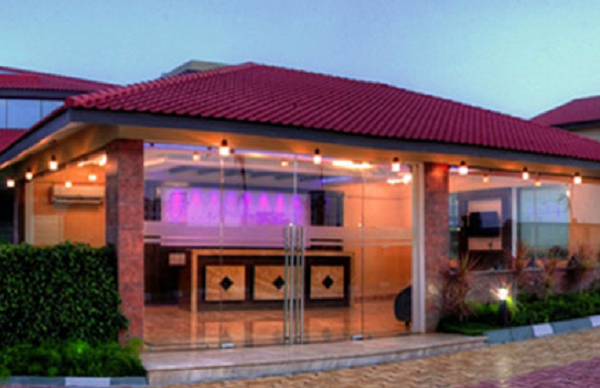 It is a luxury star resort offers true Assamese lifestyle and hospitality along with Assamese cuisine. Green Village Resort is a perfect blend of traditional as well as all the modern amenities in the mid of a jungle. Resort offers well-appointed suites equipped with all modern amenities. Price range: ₹ 6,000 - ₹ 18,000 per night. it is a luxury resort at Kaziranga consisting of 42 rooms very well spacious and aesthetically designed with large balconies. Each room is equipped with modern amenities like tea or coffee maker, cable television, internet connectivity and well stocked mini bar. They also provide special rooms for the physically challenged and the aged. Resort also has multi cuisine restaurant, spa and a well-equipped gym area too. Price range: ₹ 4,000 - ₹ 7,000 per night. 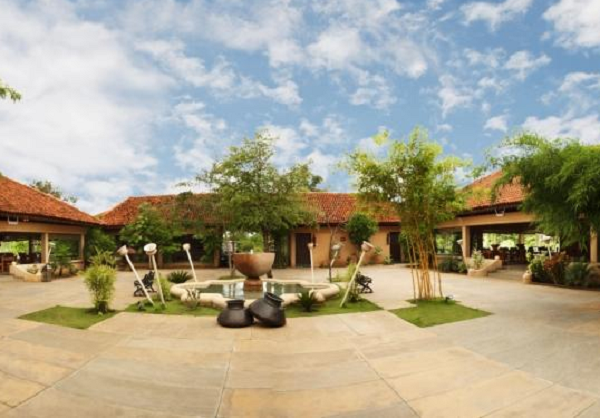 It is luxury resort established in 2008 near the main entrance gate of Kohora Central Range. It is in a way luxury camping at its best and offers first class comfort with personalized services. The resort offers great hospitality & high level of services. Resort has only 9 well-furnished and spacious rooms equipped with modern amenities to ensure a comfortable and memorable stay to every guest. It is a budget luxury resort. Price range: ₹ 4,000 - ₹ 5,000 per night. it is located in the middle of the lush green forest in between Burrapahar and Bagori range of Kaziranga National Park. Resort has well-appointed luxury rooms to feel their guest's luxury with peace away from the hustle and bustles of the city life. Price range: ₹ 4,000 - ₹ 5,000 per night. 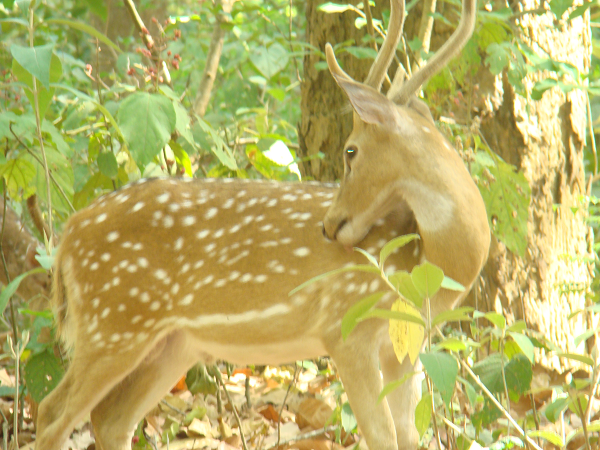 The Kanha National Park in Madhya Pradesh is established to preserve the rare Swamp Deer (Barasingha) saving it from near extinction. 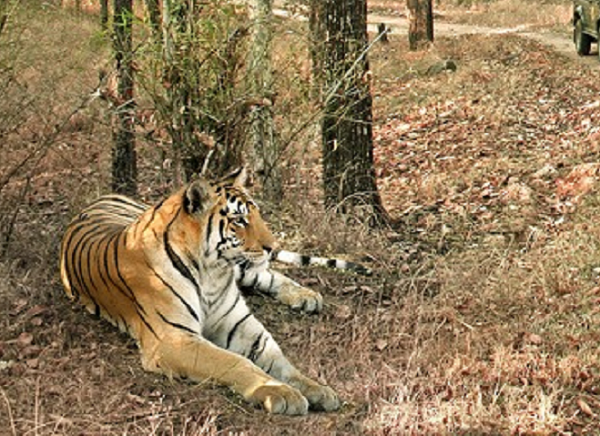 In 1974 it comes under Project Tiger to provide a secure environment for them. It is a home many wild animals such as barasingha, blackbuck, sloth bear, jackal fox, porcupine, hyena, python, mongoose, tiger, and leopard. It is a home of many birds' species and rich flora. It remains closed from July to mid-October during monsoon season. 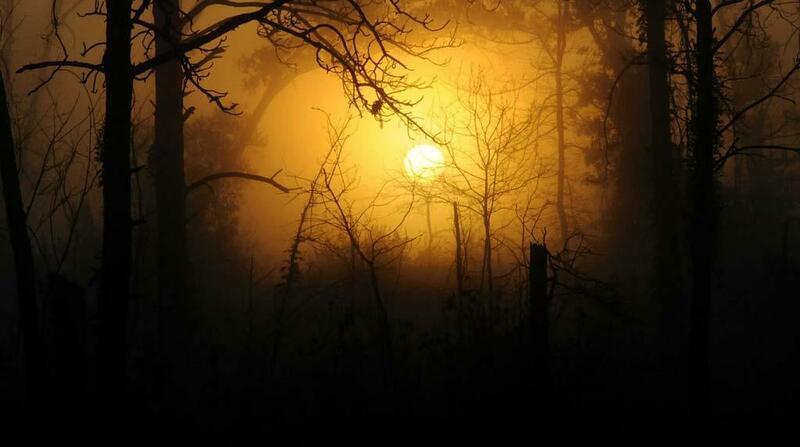 The Kanha National Park is spread across the area of 940 sqm. km in the Maikal chain of hills out of which 1945 sq. km comes under the Tiger Reserve. There are many wildlife resorts and hotels in and around Kanha National Park, Madhya Pradesh. Here we are with top 6 luxury resorts in Kanha National Park, Madhya Pradesh to stay in luxury and style. It is a venture of Taj Safaris' located at the banks of the Banjaar River, giving a clear view of Kanha National Park. It offers 18 tented suites located on raised platforms. All tents are well equipped with raw timber handcrafted furniture made from fallen trees and modern amenities to give a glamorous luxurious camping feel to its guests. One can enjoy traditional cuisine of Chhattisgarh at Banjaar Tola. Price range: ₹ 30,000 - ₹ 50,000 per night. It is spread around 12 acres of a beautiful lush green environment, surrounded by the woodlands of beautiful Kanha National Park. Resort offer independent cottages, Luxury Tents, and two bedroom apartment all are attached with fully functional bathrooms and all modern facilities, multi cuisine restaurant, efficient travel desk to make their guests comfortable in all possible ways. Price range: ₹ 10,000 - ₹ 15,000 per night. This is one of the luxurious wildlife resorts in Kanha national park spreads in the 16 acres of natural forest. The lodge has 12 luxury bungalows with en suite bathrooms designed with the use of local stone and waste wood. It is an ideal destination for nature walks, watching birds and cycling trips to the surrounding forest. Inspired by traditional Gond architecture Kanha Earth Lodge is perfect to get true wildlife experience. Price range: ₹ 16,000 - ₹ 30,000 per night. It is a luxury tented accommodation situated just 3 away kms from the Mukki Entrance gate of Kanha National Park. Shergarh has 6 super luxury tents with mud finished veranda, large bedroom & an attached washroom with Shower. The camp has its private water reserve situated in the middle it filled natural springs. Price range: ₹ 10,000 - ₹ 15,000 per night. It is a part of Tuli Group of Hotels & Resorts located near buffer zone of Kanha National Park. Tuli Tiger Resort offers 26 air-conditioned cottages and 8 Super-luxurious Tents designed elegantly to ensure space and privacy of their guests. One can watch & feel the wildlife through large windows of the private cottages. Price range: ₹ 5,000 - ₹ 8,000 per night. It is beautiful jungle lodge surrounded with thick jungle to provide you a complete wildlife experience. Each cottage is tastefully designed. The lodge has 12 beautifully designed cottages with large bedroom, en-suite bathrooms, live fireplaces, well-stocked mini bar and all other modern facilities. They won many awards for their unmatched hospitality and personally take care of every guest. Price range: ₹ 15,000 - ₹ 24, 000 per night. 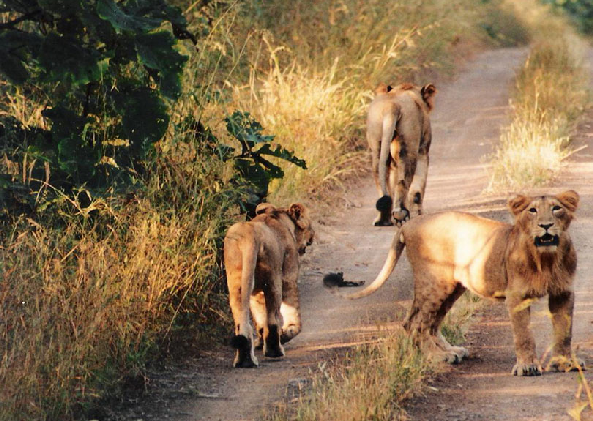 Gir National Park in Gujarat is the only place in the world where you can spot lions in their natural habitat. It is established in 1965 spread over the area of 1,412 km2 (545 sq. miles). The entire Saurashtra Region of the Gir National park is inhabited by 523 Lions and more than 300 Leopards. It is also the home of the world's only four-horned antelope that's why called Chousingha also. Many other wild animals and varieties of birds also found in Gir national park. There are number of good resorts and hotels around the park, play an important role in the promotion of tourism in the state. All these beautiful properties are all equipped with modern luxury and amenities that is much-needed during any vacation. Here we are with 6 best luxury resorts in Gir Forest National Park, Gujarat to stay in luxury and style. 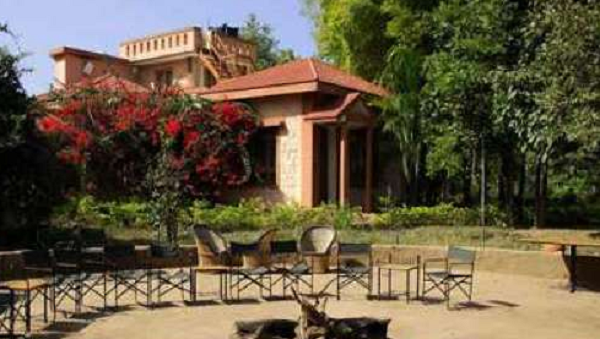 It is one of the most famous forest resort in Gir. The Fern is the best place to get real jungle experience. It consists of 40 well-furnished and tastefully decorated rooms, tents, cottages, suites and villas all are equipped with modern facilities to make their guests comfortable by all the means. So if you are in Gir it should be on your list to stay in luxury and comfort. Price range: ₹ 8,000 - ₹ 25, 000 per night. Vanvaso Resort is one of the famous jungle resorts in India. It is a great resort to stay in Gir especially for nature lovers and for those who really want to the life as people can live in the jungle. Do not worry you do not want to sacrifice your luxurious life while staying at his resort as it is well equipped with all modern facilities and amenities. Vanvaso Gir is located on the bank of Hiran River which makes it more enchanting. It is easily accessible by road, rail and air. Price range: ₹ 8,000 - ₹ 25, 000 per night. It is one of the best business luxury forest resorts in the area, located just opposite the Hiran River at the border of the Gir Forest. It is an ideal spot for the honeymoon, family vacation or a business trip. The hotel is equipped with spacious rooms and deluxe suites with all modern amenities and dedicated staffs will make your stay more comfortable and enjoyable. A relaxing spa and well-equipped gym will make the stay complete. Price range: ₹ 9,000 - ₹ 20, 000 per night. It is situated in the middle of the forest area giving you a living like living in the jungle and one of the famous forest resorts in India. It is a small guest house with ten Swiss AC tents called Camp Leo & ten AC rooms all are decorated simple but elegantly equipped with all modern facilities and amenities. Price range: ₹ 5,000 - ₹ 10, 000 per night. It is beautiful resort surrounded by beautiful lush green gardens. There are total 30 rooms completely separate and has a separate facility for sitting out. All the rooms are well equipped with modern amenities to make your stay comfortable, pleasurable & memorable one. Price range: ₹ 5,000 - ₹ 8, 000 per night. It is located at Gir national Park's entrance gate. This lodge is known for its beautiful accommodation and high standard of customer service. The lodge has 53 rooms- 42 AC Standard Room, 12- AC Swiss Tent and one Bungalow. Living in Gir jungle lodge is like living in the middle of the forest having endless nature view. Price range: ₹ 5,000 - ₹ 15, 000 per night. Pench National Park is a beautiful wildlife century located in the lower southern extents of the Satpuda hills of Madhya Pradesh. The national park got its name after Pench River flowing from north to south. 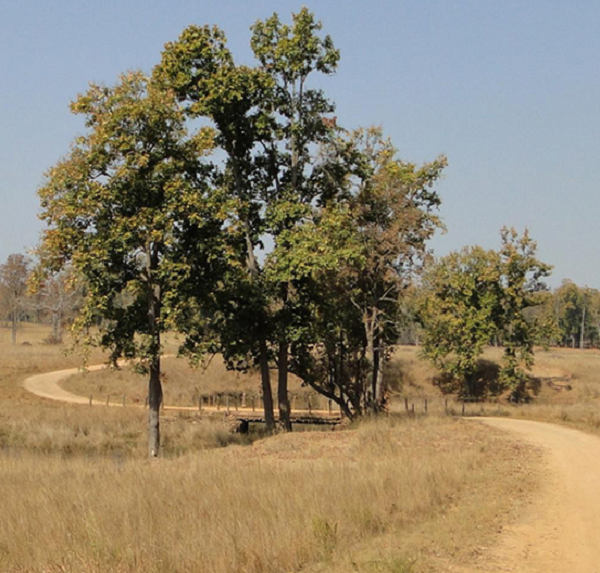 Spread over the area of Pench 758 SQ Kms is divided into Indira Priyadarshini Pench National Park and the Mowgli Pench Sanctuary and 464 sq km of Pench national park is the buffer area. Pench is the home of many wild animals such as Tigers, Leopard, Wild Dog, Cheetal, Sambar, Nilgai and large herds of Gaur (Indian Bison). There are many luxury wildlife resorts and hotels in and around Pench National Park, Madhya Pradesh which make your experience more memorable. Here we are with 6 luxury resorts in Pench National Park, Madhya Pradesh to stay in comfort and luxury. It is one of the best wildlife luxury resorts in Pench national park equipped with all facilities and modern amenities like the wellness center, swimming pool, multi-cuisine restaurants. The resort has well-equipped accommodation options to include Villas, Tree House, Caves, Tents and Mud Houses. One can go for jungle safaris, bird-watching and nature walk with their experienced Naturalists. Price range: ₹ 11,000 - ₹ 18, 000 per night. Baghvan is a beautiful lodge at Pench National Park is one of the most beautiful and luxury resort is just a five-minute drive from the park. The 12 beautiful suites designed in contemporary theme and equipped with all modern facilities will make your stay more enjoyable and comfortable. Guest area of the lodge is equipped with a swimming pool, shaded decks, interactive kitchen, library and a Safari Shop. Price range: ₹ 9,000 - ₹ 18, 000 per night. It is a beautiful eco sensitive luxury forest resort on the edge of Pench tiger reserve equipped with the luxuries like at your own home. The resort has 26 elegantly decorated air conditioned rooms along with Spa and Sauna, Wild life library and swimming pool. Price range: ₹ 6,000 - ₹ 18, 000 per night. It is located in an area of thick forest with a seasonal river on both sides of it. The resort is look like a tribal village decorated in such a way that one can enjoy its own privacy with a view of either of the two water bodies. 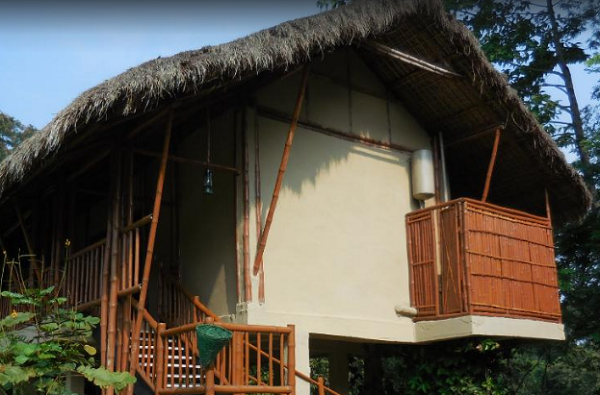 Resort has 12 spacious suites with 15 rooms to give the feel of contemporary bungalows. It is an Eco- Sensitive resort with all the comforts and modern amenities. Price range: ₹ 8,000 - ₹ 21, 000 per night. It is a super Luxurious Jungle Camp situated in the heart of Pench National Park is an ultimate luxurious destination for the royal experience amidst wildlife. Living in Tuli Tiger will give you a feel that you are camping out in the jungle itself, but with the full security and comfort. 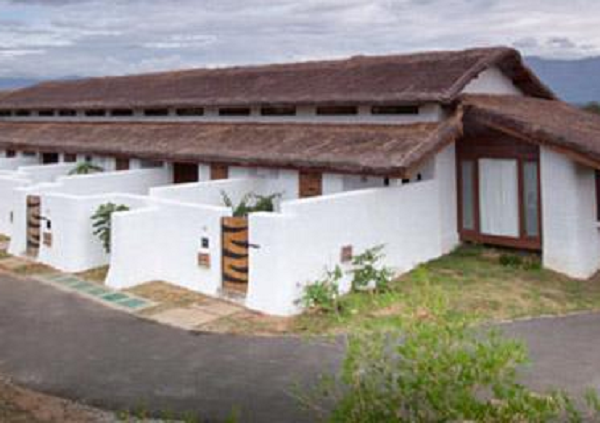 Tiger Corridor" is an extension of Tuli Tiger Resort a trademark of the Tuli Group. It has 8 huge and very spacious tents beautiful decorated and well equipped with TV, DVD player, mini bar and luxurious bath makes them stylish and comfortable. At Tuli Tiger corridor Pench one can have a real camping experience with all luxury and comforts. Price range: ₹ 7,000 - ₹ 20, 000 per night. It is beautiful jungle resort spread over the area of 12 acres in a lush green atmosphere. It has 13 Deluxe Air conditioned Safari tents, 3 Deluxe Air- Conditioned cottages, 4 Premier Air-Conditioned Rooms and a spacious family suite. All the accommodation at Pench Jungle Camp designed beautifully and full of facilities to make their guest comfortable by all the means. Price range: ₹ 8,000 - ₹ 22, 000 per night. 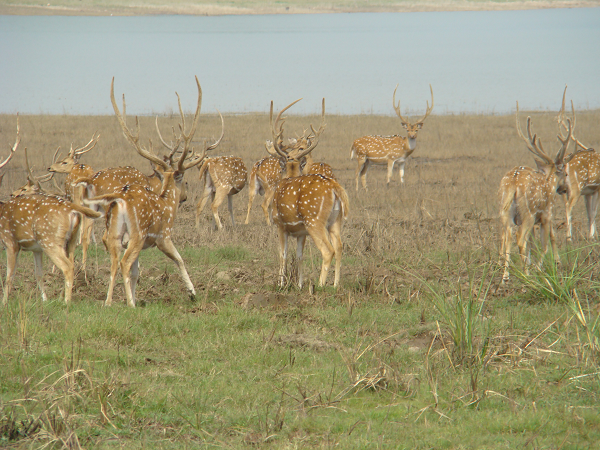 Bandipur National Park, Karnataka is one of the most beautiful and best managed national parks of India. It is located at the Western Ghat Mountains on the Mysore-Ooty highway in Karnataka. Spread over the area of 874.2 sq. km creates the India's biggest biosphere along with Mudumalai Wildlife Sanctuary in Tamil Nadu, Wayanad Wildlife Sanctuary in Kerala and Nagarhole National Park in the North popularly known as the Nilgiri Biosphere Reserve. Bandipur national park has a good number Tigers, varieties of Deer, Wild Boar, Panther, Malabar squirrel, porcupines and the black-napped hare. Here we are with 6 best luxury resorts and hotel in and around Bandipur National Park, Karnataka to get comfortable stay with all luxuries. It was established in 1999 spread over 5 acres of lush green atmosphere adjacent to Bandipur forest boundary. It has 20 Deluxe Rooms and 3 Executive Suite Rooms with all facilities. Price range: ₹ 3,000 - ₹ 5, 000 per night. This beautiful wildlife resort is located at the junction of the Bandipur and Nagarhole National Parks, on the banks of the Kabini River in Karnataka. It offers an amazing blend of the luxury amidst wilderness. Bison has 3 types of Accommodation- Deluxe Luxury Tents, Super Deluxe Luxury Tent, Rustic Luxury Machan and Suite Cottages all are well equipped and designed beautifully. Price range: ₹ 5,000 - ₹ 10,000 per night. It is located just 20 minutes from Bandipur National Park on Ooty Road in a small town called Gundlupet. it is one of the best jungle resorts in India. Nijaguna Resort is a perfect place for family vacations to get some relax from the hectic life of the city. Resort has 30 spacious rooms well-decorated rooms well equipped with amenities like air-conditioner, build-in-safe, LCD television, makeup mirror and separate sitting area. Price range: ₹ 3,000 - ₹ 6,000 per night. Well, Thank you for sharing detailed information about luxury wildlife resorts & forest lodges in India.We are planning to make a visit to Ranthambore National Park, and i was looking for wildlife resorts.